Wagechart is an online platform where most current, as well as historic, data about wages and working conditions for symphony orchestras affiliated to the players conferences are collected and made available for ad hoc industry analysis. During a recent AFM local officer training session, in the question session at the end of my presentation on “right to work” laws, a new officer raised her hand and stated: “It looks like we have to get back to basics.” Not coincidentally, this is also the current strategy that many unions, including the AFM, have adopted. Welcome to the 2018 Symphonic Services Division (SSD) special edition of the International Musician! In this issue we focus attention on a range of musician-led initiatives to connect musicians with their communities in ways that yield benefits for all involved. Preparation for negotiating your collective bargaining agreement no longer begins six months in advance of your agreement’s expiration, nor does it end with tentative agreement on its successor. Much of this preparation occurs throughout the term of the agreement. Using the time between rounds of active bargaining to choose effective representatives, build important relationships, gather information, and exploit resources is now an essential part of preparation for bargaining. You have just been elected to the orchestra committee. Congratulations! Perhaps this is your first time serving on the committee and you are not yet sure of your responsibilities. You probably suspect that there will be issues the committee regularly deals with related to the enforcement of the local contract, but what you may not know is that the orchestra committee has an essential role in the workings of the AFM Symphony Opera Ballet Integrated Media Agreement (IMA). 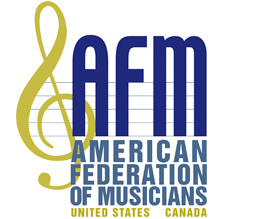 The best experiences I have as an AFM negotiator are getting to meet and work with the musicians who are part of their organization’s orchestra committee.